Card Review: 9.6 This set, and in particular this card, has really grown on me over the years. 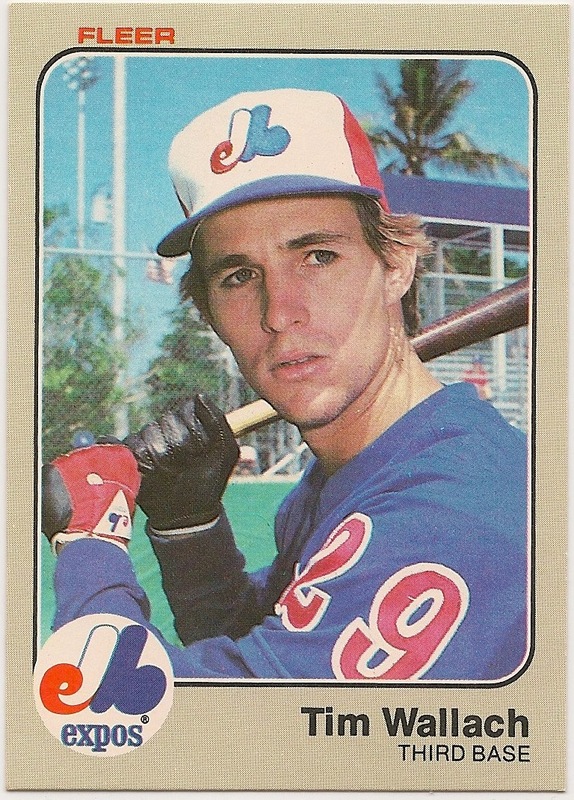 For a long time I dismissed '83 Fleer as a bland and boring set. But in reality it's actually a very well designed set. The colors look great in contrast to the brown, regardless of team. This is one of only two cards I've seen to show Tim using a black bat and black batting gloves, the other is his 1983 Topps. I like the back of this card even better than the front. 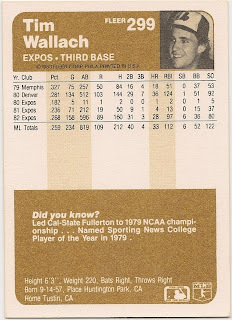 Fleer did numbering by team, and then alphabetically, so it's random that Wallach was given card number "299" which sort of looks like "29." 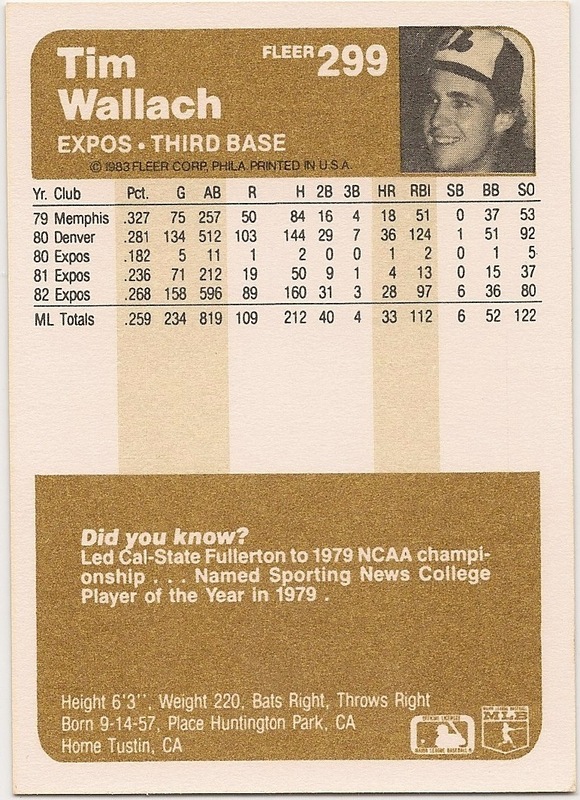 The write up and stats combine to make for a pretty impressive card.